The world shines a bit brighter when an artist revels in their work. For Curtiss Cook, that passionate energy and enthusiasm makes his performance to watch that more engaging and because of his deep love of his his craft and his joy in sharing it, his art is infectious. 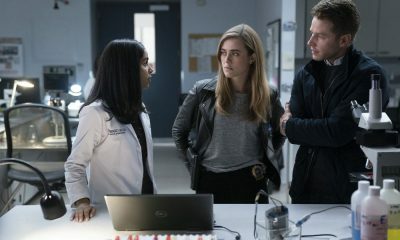 In an exclusive interview Curtiss talks about the amazing experience of working on NBC’s MANIFEST and reflects on lessons he has learned in his working career. What was the initial appeal for you in portraying Radd and working on NBC’s MANIFEST? CURTISS: When the meeting first came to me with the names attached i. e. Jeff Rake, Robert Zemeckis, David Frankel, that already told me that the project would be that of a very high quality and these were individuals whose work I’d already admired. Then the character presented new challenges for me (using an accent and playing the violin) and this always excites me with the challenge of: how can I bring this to life? How would you describe who Radd is? CURTISS: Radd is a Jamaican man who has lived in the states for the better of 12-13 years who loves his only child as much as he loves the world of classical music. He dreams of a day when he and his son can have the life of cultural ease which would allow him to produce the kind of music he feels is missing in the world. He’s a lover of life and a friend to most, just don’t make him mad. 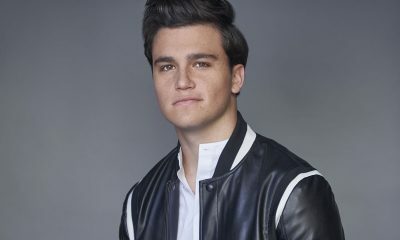 CURTISS: His fight to not give up his dream in the face of horrible circumstances. When his son was born, his wife died at child birth. He could have taken his son back to Jamaica and not finished his studies and would have had a very different life, but he stayed, raised his son and followed his passion. That is not easy and is very commendable, and I admire that in Radd. 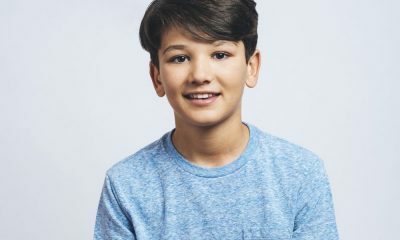 What is it like working alongside your son, who also plays your character’s son, on MANIFEST? CURTISS: This was truly an amazing heartfelt moment that I will never be able to give words to. Looking into my boy’s eyes and saying these lines (some of which mirror our real lives) was so surreal I can’t explain, I just know that I am very grateful to the universe, the ancestors and the other powers that be for allowing this to happen. Thank you GOD for this blessing. How would you describe Radd and his son’s dynamic in the series? CURTISS: True father and son conflict, and then you throw in the fact that I left him when he was 13 years old and is now 18 years old, with no real answers, trying to regain the trust and love now between two adult black men, as opposed to a man and child, bring major drama. Who would you say is the most pivotal character in Radd’s life at this point, besides his son? 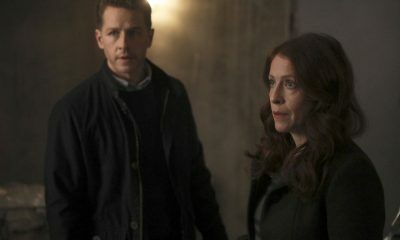 CURTISS: I would have to say that is Ben Stone (Josh Dallas), another father dealing with his own family issues. Any favorite scenes that you can share from working on the show so far? CURTISS: I don’t know if I would say this was my favorite scene, but one that was very memorable for more so behind the scenes. I was in the pilot and out on the street playing my violin, and Radd gets the mysterious impulse to go to the plane. In that moment, we were actually filming in the streets of NYC at 9:00 p.m. on a weekday, with me playing a song I actually learned on the violin, with people standing and watching. It felt in many ways the making of something bigger than it was at that moment. I felt great that day, no real reason why but I felt great. CURTISS: The biggest was the accent, which I worked on long and hard. Finding my way into his consistency through sound, as he now lives in the states and wants to be accepted in a world that may not respect his sound, so finding that balance was something I didn’t take lightly. CURTISS: Well, getting a second chance or finding a new self when you didn’t know you had to, makes me think about what am I doing now in the moment — how am I taking advantage of what is offered to me right now. Something I always thought about, but now it’s a little more pressing and that’s largely due to the world that Jeff Rake, Jack Rapke, and Jacqueline Levine have created. As an actor, what has been the one thing you haven’t taken away from the experience of working on MANIFEST? CURTISS: Hmmmm, I’m not really sure. I’ve been fortunate as an actor and have gotten to work with some very informative actors who, if not directly then, but by their process have given me insight on our business which is priceless. The MANIFEST set had a group of people who I feel I’ll be able to call friends for a very long time. CURTISS: That I’m still getting to do what I love and at such a high level. I feel appreciative every day and it pushes me to work that much harder. CURTISS: That there’s so much more to do and I have so much more work to do. I can’t really watch or think about my past work, all I see are the places in my performances that I need to fix. What is your proudest achievement in your career so far? CURTISS: My wife Angelica and our five children: Curtiss, Isis, Kimani, Jade and Harlem help me every single day. I know that may sound like an odd answer, but the reason I say this is because without the love and patience of my family I would never be able to have the focus and balance needed to achieve anything. CURTISS: Definitely getting to speak with journalists from major outlets, such as this one, who are as passionate about the work I do enough to write about it. CURTISS: Let the NO’s motivate you to work harder, until your talent is undeniable. CURTISS: Live a life so that you’re able to portray a life. Get out and live outside of your comfort zone, it will give you more perspectives to draw from. Be safe, but have fun with life so that the work shows your fun to us. 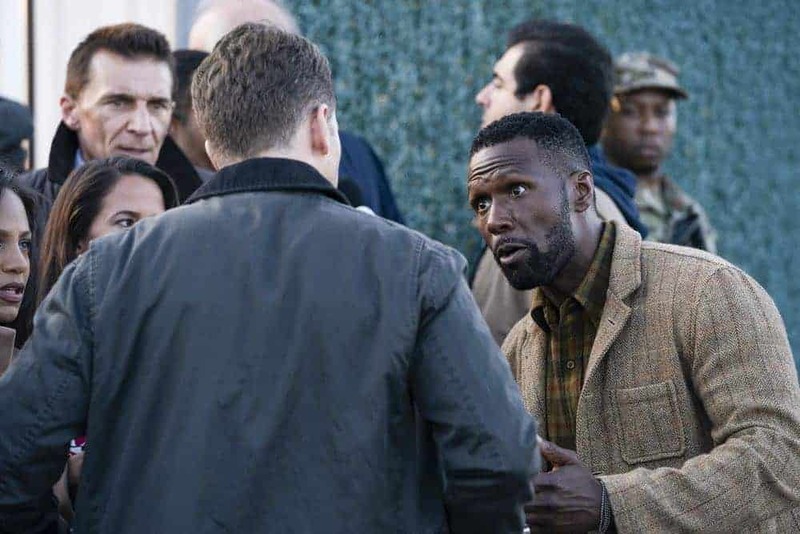 CURTISS: Before I tell you, please allow me to say thank you to you for giving me this opportunity to talk about this great show MANIFEST and share a little about myself. I’m also featured on the hit FX show MAYANS M.C. and then coming out in the new year you’ll see me on the Showtime hit series THE CHI. Follow me on Twitter and Instagram at @curtisscook, thank you! 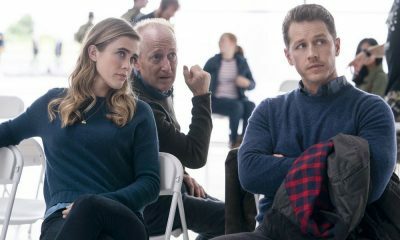 To see what lies ahead with the mysterious voices and sounds that draw the passengers together to help each other and others in need, all new episodes of MANIFEST air on Monday nights at 10:00 p.m. on NBC. 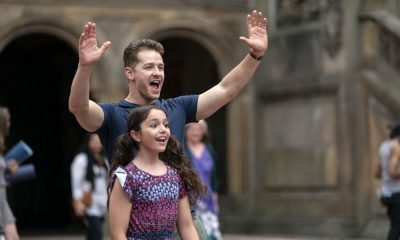 For previews and more information about the show, you can follow the show on Twitter @NBCManifest.